These pages will be dedicated to providing product reviews on: equipment, tools, resources, variety of products, services that can compliment the process that a Newbie goes through in: training, acquiring new skills or adding any supplemental equipment, or services to their online business or that may also help them as individuals. As a Newbie that is staring on the affiliate marketing online business there are going to be items or products that will help to make it a little more simpler or a little faster or provide an edge to your constant dedication to your online business success. Here you will find suggestions, reviews on products, articles, shared videos, or images of services, tools, equipment or any other item that has help me to move forward on my affiliate marketing success and that may also help YOU! 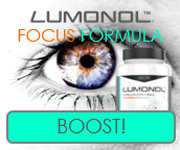 It is a nootropic that packs a solid foundation of neuro process enhancers that supply the brain and body with fundamental nutrients and helps to optimize performance. It’s a brain supplement. This website will provide you will different protecting case and accessories for any type of smartphone that you may have or for family member. This website has up to date style and protection for your smartphone and a very reasonable price! A planner that can help you define your short and long terms goals. It will keep you organized and it will help to increase your productivity. Please note that some of the links in the product reviews posted or on my blog are “associate sales links”. This may mean if you click on the link and make a purchase of any of the items, I may receive a commission. Regardless, I only recommend products, equipment, tools or services which I have use personally and think it will add some value to you our visitors or readers, giving an edge to your online business or daily life. We are disclosing base: Federal Trade Commission’s 16 CFR, Part 255: Guides Concerning the Use of endorsements and Testimonials.